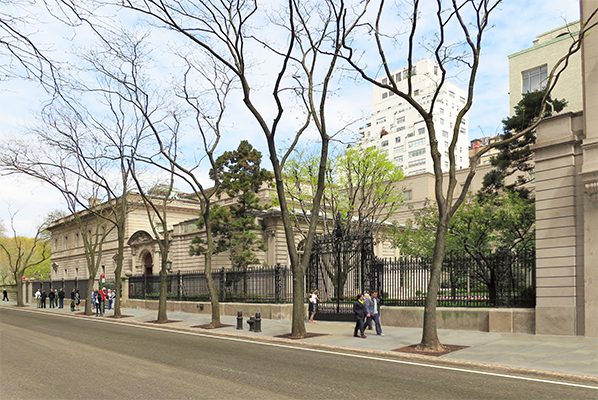 A century back, Henry Clay Frick hired Carrère & Hastings to design his Fifth Avenue mansion, now the renowned Frick Collection. 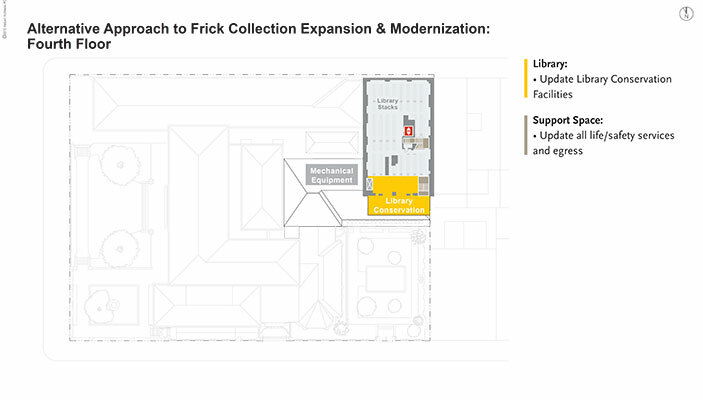 Unite to Save the Frick Coalition formed when the Frick announced plans for a 106-ft-high expansion to the museum that would also replace a beloved garden installed in 1977. 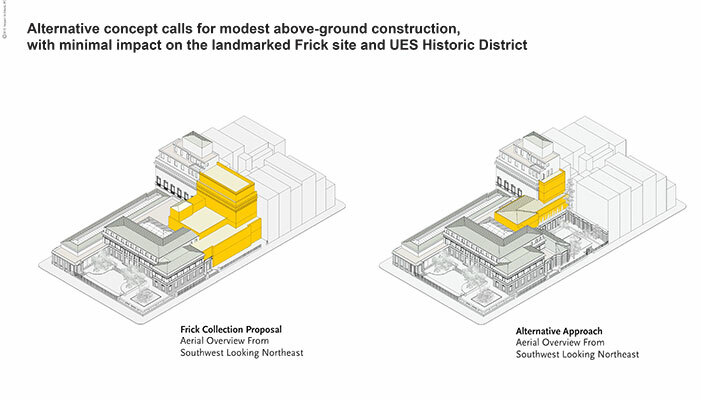 USF does not oppose any modernization, just anything that would change the scale and intimate character of the landmarked complex and its masterful urban landscaping. 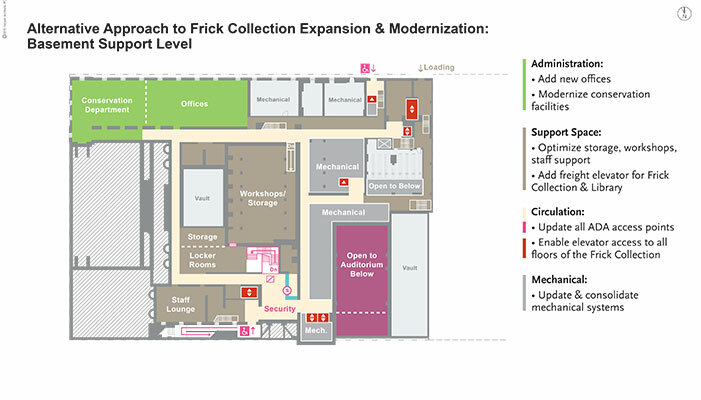 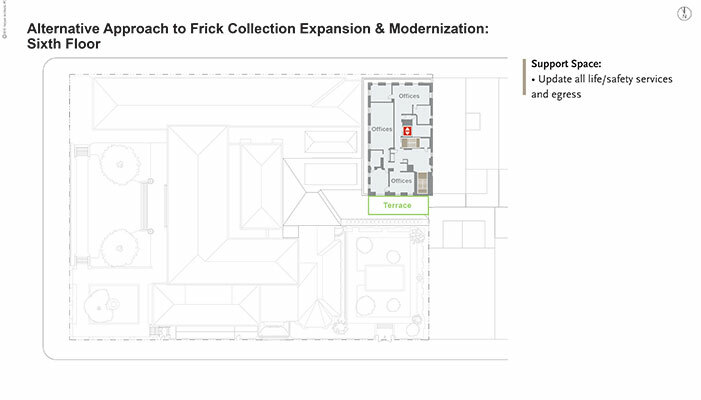 Helpern Architects was USF’s immediate choice to create a planning study that would preserve significant components of the Frick Collection site, modernize internally, identify and reconfigure overlooked or underutilized space, and minimize any new building volume. 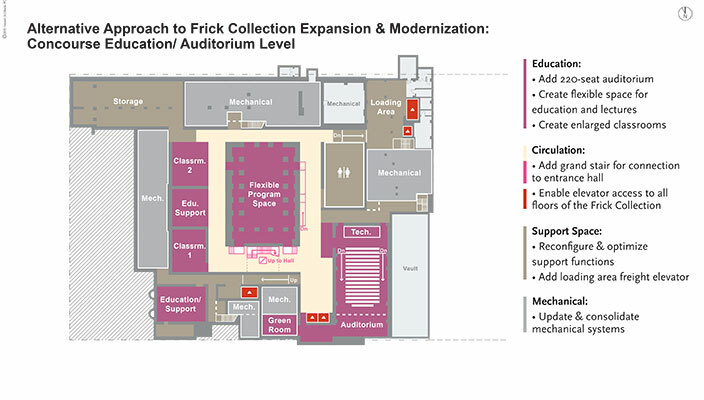 We also served as ambassador for this alternative plan. 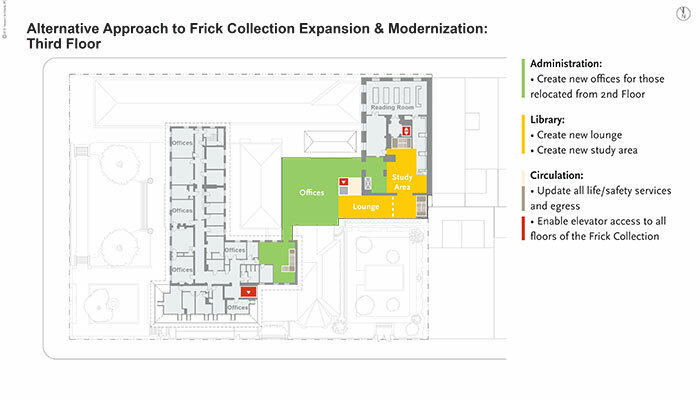 Using information available publicly, we considered what must be preserved and what could be modified. 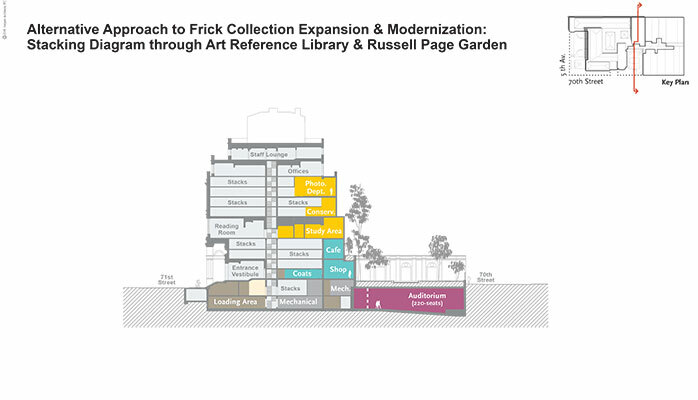 We re-organized the flow and functionality of the complex, connected galleries and the library, and added amenities such as a café, auditorium, galleries, and new views to the garden. 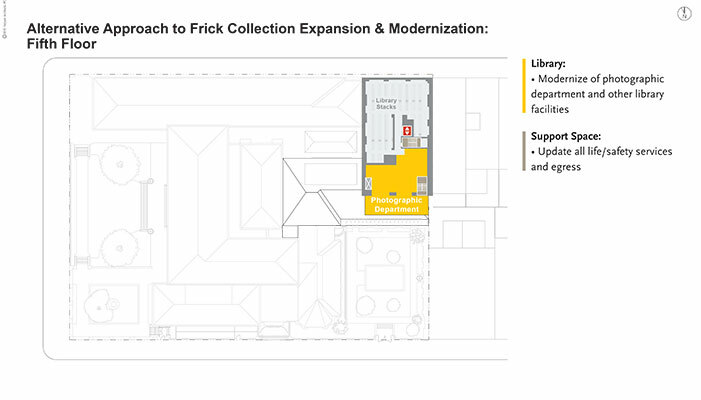 One way to gain room was to build down rather than up, an unexplored option in the Frick’s proposed plan. 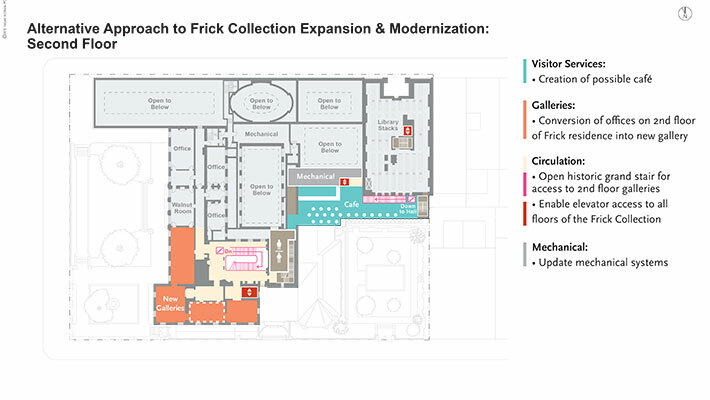 The Helpern concept removed the Fifth Avenue marble steps and terrace to their edge in order to build below them – but then they were to be replaced. 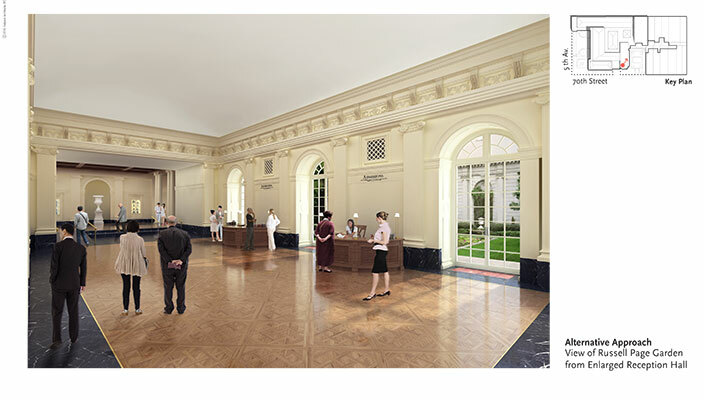 The precious magnolia trees on the parterre would be carefully handled. 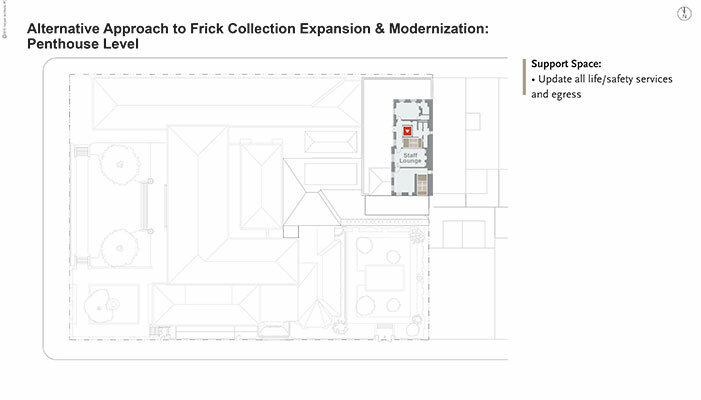 We also depressed the lower cellar level to add the headroom needed to make it a usable space; our structural engineer confirmed it could be done. 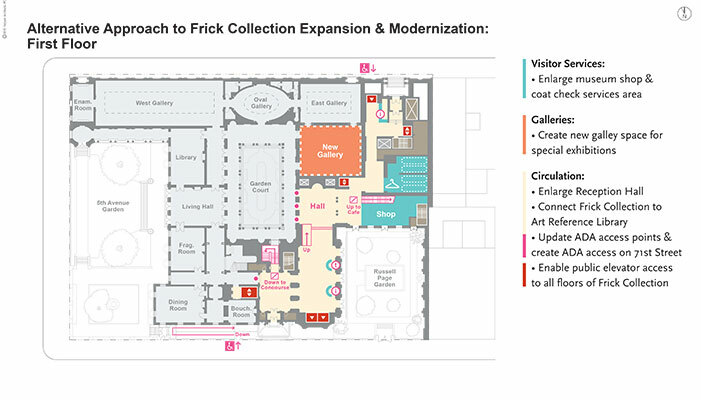 On June 3, 2015, the Frick withdrew its design. 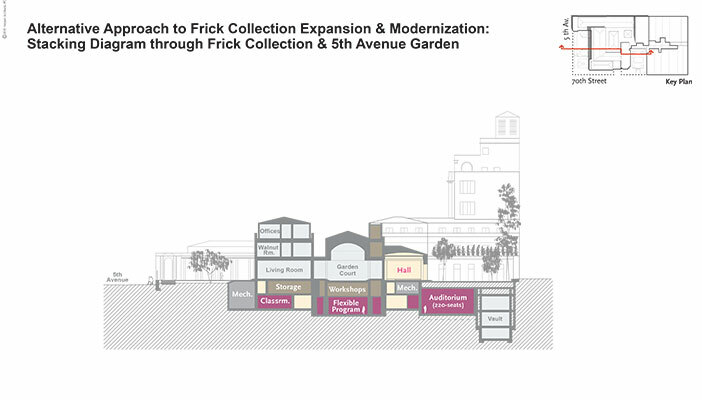 On July 14th, Architect’s Newspaper exclusively published the drawings on line as the result of USF’s campaign, in which the conceptual plans had served a critical function.